We’ve found great deals at 1627 hotels! 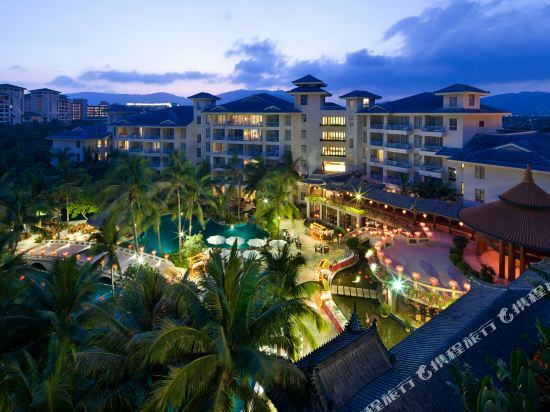 Located amid lush, green hills, the Cactus Resort Sanya (Sanya Yalongwan Xianrenzhang Dujiajiudian) is located in Yalong Bay just a ten minute walk from the beach and a 45 minute drive from Phoenix Airport. A butterfly park also sits next to the hotel. This Sanya resort offers free rides to the hotel's beach from 7:00 a.m. to 7:30 p.m. daily. The Cactus Resort's guestrooms and suites are each equipped with all the standard amenities as well as satellite TVs, complimentary broadband Internet, in-room safes and international direct-dial telephones. Chinese food is served at the breakfast and dinner buffets while the Lobby Lounge is popular for wine and cocktails. 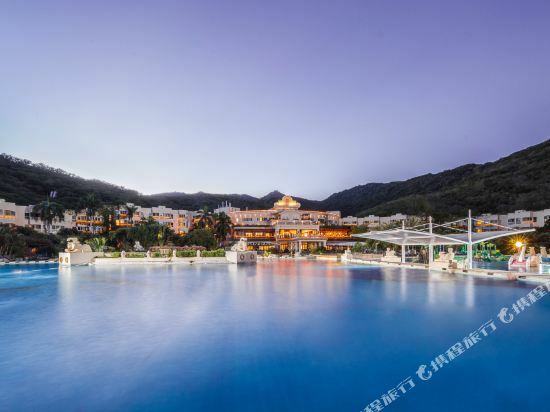 This Sanya hotel boasts one of the largest and most impressive outdoor swimming pools in China, as well as two tennis courts, beach volleyball and mountain bike rentals, so guests never run out of things to do and enjoy. The first large-scale resort that integrates Chinese architectural style with natural tropical gardens and beach scenery, Huayu Resort & Spa Yalong Bay, first opened in 2005 and was renovated in 2013. The Resort, which is located in the center of the Yalong Bay National Resort District. The first resort featuring Chinese architectural style into a natural tropical environment was opened in 2005, located at the center of Yalong Bay National Resort District. The resort has 583 rooms, each room’s average area is larger than 68㎡ and styled with elegance and comfort in mind to meet guest’s need. The rooms also feature a 180°panoramic view from the balconies for guests to enjoy the beautiful scenery. 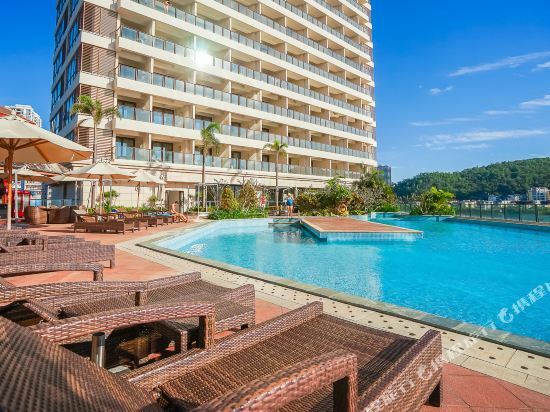 The resort also offers an array of leisure facilities, such as spacious lagoon swimming pools, a well-equipped fitness room, indoor table tennis and more. The largest commercial center-La Floret is also located next to resort where guests can enjoy cuisine, entertainment and shopping. More than 20 restaurants will offer you a supreme food. Even more, there also has a Happy Baby Neverland making kids to enjoy wonderful and fantastic moments! The resort has one of the largest conference halls in Yalong Bay, making it a perfect destination for a conference and vacation. It offers 2,377 m2of meeting space, including a 1,300 m2Grand Ballroom and 12 outstanding function rooms, specially designed to hold meetings and events of various styles and sizes. It is also supported by a professional team that understands your particular demands. The hotel meeting & conference team is dedicated to helping you to meet all of your business requirements. The Resort Golden Palm (Jinzonglu dujia jiudian) is located in one of Sanya's best areas, Yalong Bay. The Hotel is about 45 minutes' drive from Sanya's Phoenix Airport, 45 km (28 mi) from the Tianya Haijiao and 20 km (14 mi) from the city center. This Sanya hotel has a total of 247 rooms, including standard rooms, standard suites and deluxe suites with ocean views. All rooms are equipped with air-conditioning, private baths, color TVs, international direct dial telephones and radios. There are a few restaurants and bars in the resort, most noticeably the Garden Restaurant which serves various local-style Chinese dishes on the top floor. Western food is also available within the hotel. There is a well facilitated business center, meeting rooms and a function room with audio visual equipment. Guests may workout in the gym, get their hair styled in the beauty parlor or play a relaxing game of billiards. There is also an outdoor swimming pool as well as a sauna and massage center. 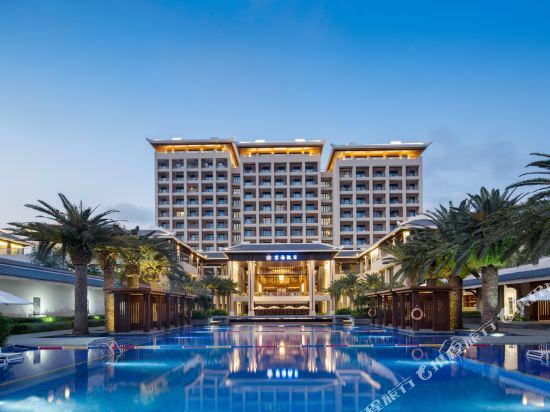 The Crowne Plaza Sanya City Center (Sanya Lisi Huameida Guangchang Jiudian) is located in the heart of the city with several Sanya attractions nearby, including the China Duty Free Shop just 0.8 km away (0.5 mi), the Dadong Sea 1.6 km (1 mi) away and Sanya Luhuitou Park 3 km (2 mi) away. The Sanya Phoenix International Airport sits 18 km (11 mi) away. The Presidential suite is the largest in downtown Sanya, featuring a private swimming pool that allows guests to truly indulge and make the most of their trip. When meal time comes around, guests can eat at Café Marina where a variety of Asian dishes are served, a Japanese restaurant or Yue Chao Cantonese Restaurant. Business guests will find meeting rooms and a business center at their disposal. When it comes to recreation, this Sanya hotel features an indoor and outdoor pool along with a fitness center to ensure guests to have plenty to do during their downtime in Sanya. Mangrove Tree Resort World Sanya Bay is located just a stone’s away to the city center, 9.8 kilometers to the Phoenix International Airport and 2.5 kilometers to the railway station. Mangrove Tree Resort World Sanya Bay integrates Fashion, Art, Leisure, Entertainment and other elements into a five-star resort complex, leading a new lifestyle. 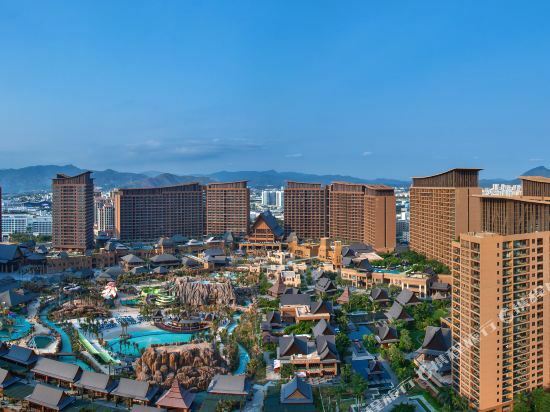 Resort World adjacent to the Sanya Bay, the well-known "Coconut Dream Corridor", is inclusive of six towers (Kapok Tower, Buddha Tower, Coconut Tower, Grand Palm Tower, King Palm Tower and Queen Palm Tower). More than 3,700 fine designed rooms, feature a cozy holiday atmosphere. Signature restaurants, Southeast Asian style shopping street, Today Art Galleria, Panviman SPA, and upcoming 71 restaurants and bars, more than 20,000 square meter Conference and Exhibition Center, 33,000 square meters Water Park, movie studio, and 2200 square meters of Wedding Square, as well as 40,000 square meters shopping street. AMAZON JUNGLE WATER PARK-Amazon Jungle is The first Water Park in Sanya, which is part of the Mangrove Tree Resort World Sanya Bay and consists of various recreational facilities such as Spiral Slides, Cobra Slide, Kids Water Village, Racing Slides, The Water Cannon, The Monster Bowl, Wave Pool, Rock Pool, Volcano Pool, Lagoon Pool and Drifting Stream. A volcano themed restaurant and several bars will please your palate during your exploration in the Amazon Jungle. Buddha Tower, a total amount of 515 rooms with size between 64-210㎡. Air garden, swimming pool, Buddha Chinese restaurant, Today Art Galleria, business center and other facilities are all here for business as well as leisure travelers. Mangrove Tree Resort World Sanya Bay integrates fashion, art, recreation, entertainment, shopping and other elements into one five-star resort complex. Choose Mangrove Tree Resort World Sanya Bay, choose a brand new life style. If you want to stay in the best hotel in Sanya, China, please come to Trip.com for a custom trip. Staying in exclusive Sanya hotel Trip.com offers, you can fully relax and enjoy the stay in Sanya and around Sanya. All these Sanya hotels lead in the industry in aspects of environment and recreation facilities, providing the best hotel service in Sanya. 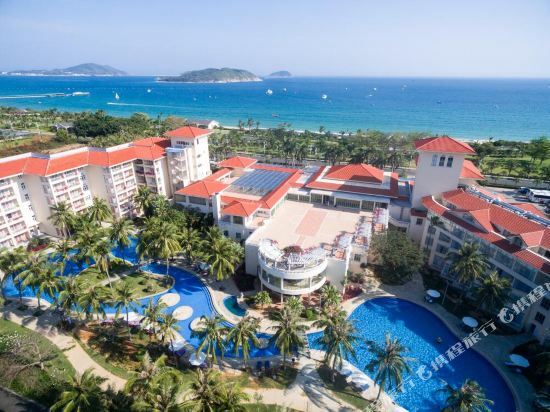 To ensure that you can find the latest hotel in Sanya, the latest hotel price as well as hotel facilities and indoor facilities information will be offered. In the meantime, detailed photos of Sanya hotel will be displayed, making you know quickly whether hotel’s interior environment meets your taste. Besides, you can know specific location and reviews on Sanya hotel from millions of users. If you want a nice room with limited budget, please filter through price and distance to get an appropriate Sanya hotel. To ensure you can experience the best Sanya hotel, users and we give a comprehensive rating on hotel, which gives useful help. Believe it or not, as the biggest online travel service company, we have the best service assurance and perfect users’ experience to meet your requirements in different aspects, no matter it’s Sanya hotel or Sanya hotel.